Local Air is determined to provide the best air conditioning, heating and duct work services to San Jose and the Silicon Valley. We understand that affordability and appreciation are important parts of your decision. We appreciate our community and offer discounts to military, senior citizens and first responders (police and fire department personnel). We additionally offer savings via our Preferred Club Membership which provides members with peace of mind, safety and keeps more of your hard earned money in your pocket. Check out our online discounts and contact us today to learn more or schedule a service. We regularly update our HVAC specials, discount offers, HVAC specials, and HVAC coupons offerings. 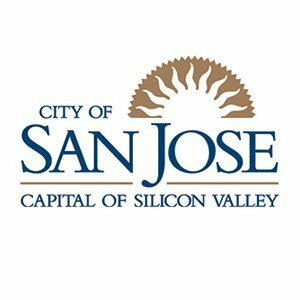 We want your business and strive to provide all San Jose and Silicon Valley home and business owners the absolute best air conditioning and heating services at the best possible price. Local Air provides a vast spectrum of heating and cooling services including: AC installation, furnace and AC repairs, maintenance and duct cleaning. Check back regularly to get the latest HVAC deals and service coupons! Contact us for residential and commercial AC repair, replacement and installation coupons in San Jose: Almaden Valley, Alum Rock, Berryessa, Blossom Valley, Cambrian Park, Evergreen, Santa Teresa, Silver Creek and ‎Willow Glen as well as surrounding areas like Fremont, Milpitas, Mountain View, Palo Alto and Sunnyvale. Contact us for current offerings as coupon savings change frequently.